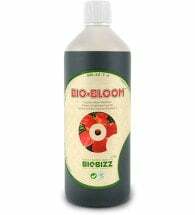 Organic Bloom Enhancer. 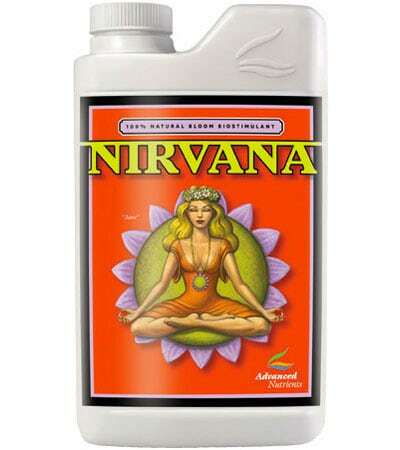 Advanced Nutrients Nirvana (0-0-1) is a 100% natural bloom biostimulant that gives you bigger flowers and outperforms most synthetic flower boosters. No longer do you have to sacrifice yield when using organics. 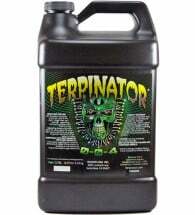 Use this organic gardening booster so your plants mature faster, resist stress, heat and diseases, and give you juicy, ripe, heavy, bigger flowers dripping with quality and aroma. Nirvana is the only true organic harvest-boosting gift for your plants. 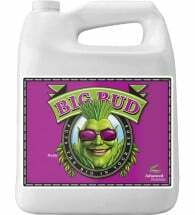 Mix 2 ml Nirvana per liter (0.4 tsp per quart) during weeks 3 through 6 of the flowering phase. 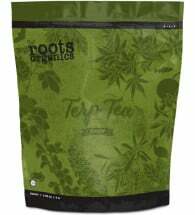 Ingredients: Earthworm castings, humus, seaweed extract (Laminaria saccharina) and alfalfa meal.